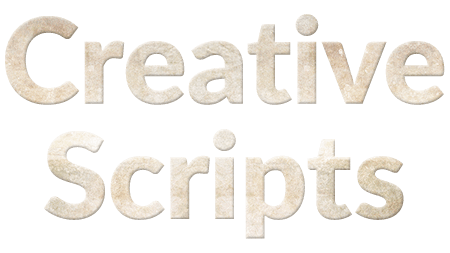 To give you an idea of the sort of work we do, the results you can expect and the technologies we deal with in our custom scripting services I have put together some FAQs and a portfolio of custom scripts we recently (as of March 2015) produced. What sort of custom scripts do you make? Which technologies do you use to write your custom scripts? How much does it cost for one of your custom scripts? The cost is generally a function of time it takes to get the script done, including correspondence by email, the EULA, my experience in the technologies needed and the urgency of the Job. For a "My script used to work on InDesign CS5 but stopped working on InDesign CC, can you please get to work." You might expect to pay £50. For a simple but useful script you might expect to pay £75 – £200. More complex jobs could come to £1,000 – £4,000. Terms of payment depend on the size of the job, the size of you. If Microsoft commissioned us for a large script I would not have a problem working on the script for 6 months before receiving payment but if Microscopicsoft commissioned us for the same script I would expect payment with progress. Scripts can often be provided on a trial license. Payments can me made securely by credit card through PayPal (No PayPal account required) or paid into a UK bank account in £GBP. Why should I pay you to make me a custom script when I can get it for free on the Adobe scripting forums ? The forums are not there for "I need, blah, blah, blah … Bump, I need this done within the next 1/2 hour" in fact they are not there for scripts at all they are there for scripters to develop their scripting skills. The scripts there are generally speaking not very optimized which can make a huge difference to their performance. We have helped people reduce their script execution times from several hours to less than 2 minutes. If you need a little snippet like a to make the selected text a size bigger then by all means go for it over there but if you are looking for something a bit more than that then you should look for a custom scripting service. If you like you can look at some of my contributions to the InDesign Scripting Forum. For inquiries we can be contacted by using the contact page. Description: Andrej asked us to make a script for meaningfully naming PNGs exported from InDesign as an alternative to the standard uninformative names automatically assigned by InDesign. He wanted to be able to both grab the names form the page bookmarks and set the bookmark names from the page names. The script has a small unintrusive pallet which is responsive to the InDesign document. The script works with numerous export file formats. Client: Bemis Graphics (Graphics subsidiary of Bemis). Description: Greg Zellner, Production Supervisor at Bemis Graphics asked us to automate the creation of 3D film layers images like the one to the right. The script is very configurable, and can be used to produce layers of varied 3D perspectives, textures, colors and heights. It allows for the saving and loading of presets and various tweaks to the labeling of the layers. It reduces the time it takes to make the graphics from about 1 hour to about 1 minute. The script was quite a challenge because of the very limited API that Illustrator® has. Customer Testimony: "Trevor is very hard working and helpful in his scripting. Turning around scripting requests has been excellent. Trevor also has added additional features to his scripts that have also been very helpful. Customer service is outstanding and pricing is very reasonable. Outstanding jobs for us Trevor, thank you." Client: Bemis, a leader in the package printing industry, with 60 printing facilities and annual sales of four to five billion dollars. The high quality of their work is crucial to them and we have written several custom scripts for them in order for them to achieve this in an efficient and economical way. Description: Tom Richards, Workflow Specialist at Bemis asked us to make a custom script to automate part of the prepress quality control process to provide a productive collaboration between the graphics, quality control and press departments. The aim of the script is to have Markzware Flightcheck® check Adobe Illustrator® documents for color, image, font, trapping and several other errors and export a formated report as a PDF. The Illustrator documents are exported as PDF after having all their text converted into outlines, the Illustrator files are closed without saving the changes. Both the PDF's are automatically named according to Tom's specification. The formated FlightCheck report PDF will be examined by the quality control team who will annotate the Illustrator PDF with appropriate instructions for either the graphic or press teams. On the event the corrections are required the Illustrator will be rechecked by Flightcheck and the 2 new PDF's will be appended by Acrobat® to the existing ones. Again the report will be checked and the Illustrator PDF will be appropriated for either further alterations or instructions for print. The script can be activated on individual or multiple files by either right clicking the Illustrator files and selecting open with "Collaboration Workflow" or by dragging the files onto the scripts Icon. Using the script both saves quite a considerable amount of time and ensures the correct file names are given. Description: Yechekel Frankel of Kol Haloshon approached us with the challenge of producing formated audio-visual video presentations from voice and plain text files. The plain text files were in Hebrew which is a complex right to left script, they were encoded in a very unusual manner and to convert them to the regular Unicode encoding we found that we could copy and paste the files to Microsoft Word and save the files as Unicode encoded plain text files. As there were only 53 source files (for 52 weeks of the year + 1) it was quicker to do this stage manually than to write a script for it. The new text files had to be cleaned up and split by applying a large amount of regular expressions to their contents. The split up contents were saved as xls files using jsx from the ESTK this produced about 2,600 files. The files were arrange by week of year, day of week and topic. We then made Powerpoint templates for each of the topics and used vbs to get Powerpoint to load the templates with the contents of the Excel files, this involved scripting for both Excel and Powerpoint. Then next stage was to get Powerpoint to place the correct voice file to the correct presentation frame. There were tens of thousands of voice files to be placed. I implemented a very simple file naming algorithm for the voice files and used vbs to place the correct file to the correct frame. Powerpoint then exported these frames as wmv files with each frame progressing on the completion of its voice file. I then used vbs to perform command line operations with ffmpeg to crunch the wmv files to mp4 format. These needed to be available not just as 8 separate topic mp4 files for each day but also as a combined file for the whole days syllabus. These files had to be available also as mp3 audio files, this was done again using ffmpeg. The last stage of the project was to arrange the files in appropriate file structure and allocate Hebrew file names to the files using the ESTK as this could not be done with the Office API using vbs. 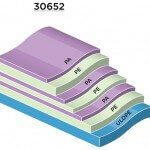 In total approximately 50,000 files needed to be generated. Customer Testimony: "Trevor did an excellent job and was a pleasure to work with. His support throughout the project couldn't have been better"
Some body (Noel) inquired today if I have a specific script. Contact Page for such inquiries. 2) Please use your real email address.